We all can feel the anticipation, the excitement, and the expectancy in the air. Something is happening. Something is changing. What exactly is it? What are we looking forward to? I love the way that is worded. “Your people will volunteer freely!” Isn’t that our desire? To do something wonderful, something big, for God? So what is stopping us? In praying about this, God showed me several things that seem to hold us back, but I kept coming back to this one thing. We, especially in the Western World, are too busy. We run here, go there, sign up, make commitments we can’t keep, and wear ourselves out being so busy. So today we are going to focus on how to simplify our lives. How many of us watched the “Little House in the Prairie” or read the books and dreamed of a simple life? Sure they didn’t have the modern conveniences that we have, but they had a more precious commodity…time. They worked hard, but they weren’t rushed or stressed. Choices were fewer, obligations were fewer, and their expectations were fewer. How many of us lose sleep over our hectic schedules or feel overwhelmed with life? Be honest, how many of us cringe inside when we hear about another service, an extra class, or some other thing that should excite us, but our minds scream “how can I do one more thing? !” Then we feel guilty, throw ourselves into another obligation, sometimes only half there, half awake, and half committed, only to feel disappointed in the results? This isn’t God’s plan for us. How much of what we do is out of fear, or trying to survive? How many times have we said, “if I can just get through this day, week, month? These thoughts make us run, or hide, or both. We keep ourselves busy so we don’t have to face reality. We think if we can just get the latest new (phone, game, clothes, house, car, gadget, etc) thing, that life will be easier, better. That just isn’t true. When we live like that, we have jumped onto a merry-go-round made by Satan! His plan is to keep us distracted, self-centered, wore out, and trying to do it all in our own power. That is not God’s plan for us. He wants us to have time for ourselves and our families. To have things we enjoy having and doing. But God never intended those things to rule us or take control of our lives. How can we be committed to Him in the way we need to if we are short on time, short on attention and just plain short on energy? He wants the commitment, expects it. So we need to make some changes. Let’s prioritize. First make a list. What is the most important things to you? What do you place the highest value on? What are your goals in life? We need to make time for these things. List the top ten. Now take a closer look and cross one of the list. Think of it as surgery. We are cutting of the tumor, the parasite that is stealing your life. I know it is scary, but we all agreed that something needs to give, something needs to go. It is time to start making choices. We have choices to make. Is it part of or important to God’s plan for my life? If the answer is yes, then keep it. If the answer is no, delete it. Simple. Not easy to do, but good for us. Here is a short list of things you need to consider. There are great websites and book on simplifying your life. Find some, and read them. Most importantly, pray about it and ask the Holy Spirit to show you where the weeding needs to be done. •	Learn to say no. •	Limit your communications (twitter, facebook, snapchat, iphones, etc) and simplify your computing life. •	Limit your media consumption. •	Purge your stuff and simplify your wardrobe. •	Limit your buying habits. •	Free up your time. •	Spend time with God. •	Spend time with people you love. •	Slow down. Your driving, eating, and any other area where you rush. Give yourself more time for tasks. •	Establish routines. Create a workable system for housework. •	Learn to live frugally. Consider a smaller home, a smaller car, a smaller yard. Live closer to work. •	Do something you love, have a creative outlet. •	Go for quality, not quantity. •	Don’t over schedule your day! Leave time between appointments. •	Whenever you are faced with a choice, ask yourself, “Will this simplify my life.” Always be sensitive to the voice of God, because often He asks us to do things that will stretch us. This is a great start. Don’t try to do it alone! You need God’s help and guidance to do it. Sometimes we will need to do radical surgery. Other times we need to take baby steps. 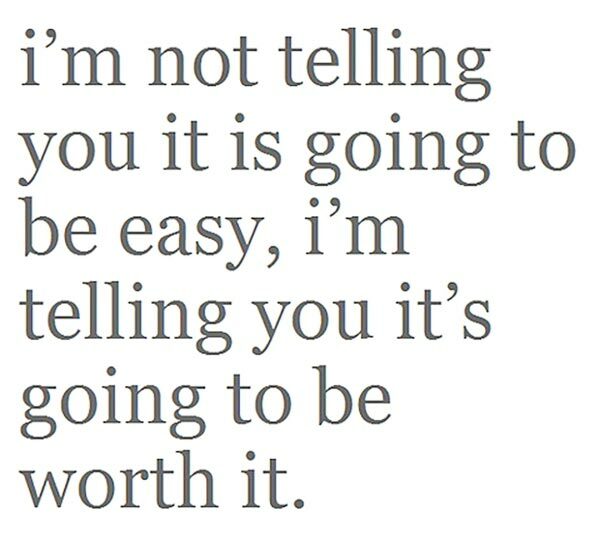 Living freer, having more time for God, and building a stronger commitment to Him will so be worth it! I watched a good movie, just 26 minutes about the Tabernacle. Seeing the tabernacle was cool, but a scripture jumped out at me and I had to look it up and read the whole story. It really got me thinking. Here’s the story in a nut shell. Moses brought the people out of Egypt like God commanded him and along the way they grumbled and complained. It got so bad that at one point a guy named Korah and 250 of the “leaders”, prominent men, started thinking they could do better than Moses and Aaron. They said, “”You have gone too far! The whole community is holy, every one of them, and the LORD is with them. Why then do you set yourselves above the LORD’s assembly?” Moses set up a way that would prove to them that God chooses who He wills. There was going to be a test! The 250 men were to bring incense to burn before the Lord. Then God tells Moses and Aaron to separate themselves from the people because He was going to just destroy them all! Moses pleads for the people and God tells them to, ‘Move away from the tents of Korah, Dathan and Abiram.’ Then God caused the earth to open up and swallow those men and their families. Then God sends fire and consumes the 250 leaders who had rose up against Moses and Aaron. I think that would have been the end of the complaining, but not these stiff-necked, hard-hearted people. They continued to grumble against Moses and Aaron (God’s chosen vessels!). So a plague comes, immediately and Aaron goes between the plague and the people and only 14,700 perish. I think that would have been the end of the complaining, but not these stiff-necked, hard-hearted people. They continued to grumble against Moses and Aaron (God’s chosen vessels!). So Moses sets up another test. They were to bring the staff of the head of each tribe, writing their names on the staff. Numbers 17:6-11 shows what happened next, “So Moses spoke to the Israelites, and their leaders gave him twelve staffs, one for the leader of each of their ancestral tribes, and Aaron’s staff was among them. Moses placed the staffs before the LORD in the Tent of the Testimony. The next day Moses entered the Tent of the Testimony and saw that Aaron’s staff, which represented the house of Levi, had not only sprouted but had budded, blossomed and produced almonds. Then Moses brought out all the staffs from the LORD’s presence to all the Israelites. They looked at them, and each man took his own staff. 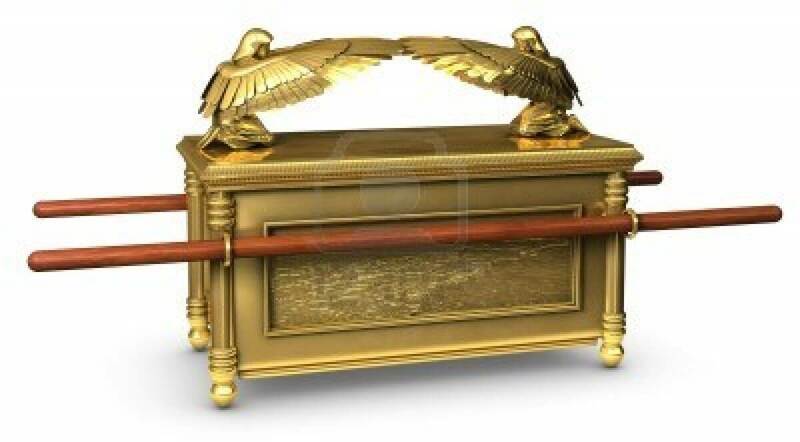 The LORD said to Moses, “Put back Aaron’s staff in front of the Testimony, to be kept as a sign to the rebellious. This will put an end to their grumbling against me, so that they will not die.” Moses did just as the LORD commanded him.” Not only did it bud, but flowered and PRODUCED FRUIT! Was God saying that Aaron was perfect? NO! Aaron was a human with all of our messed up ways, but Aaron was CHOSEN of God to lead the people. I found it interesting that the ones who “rose up against” Moses and Aaron were all LEADERS! How many times have we seen people in leadership begin to think that they know better than the Pastor? Now I come to the part of the movie that got me thinking. They show all the contents of the Ark of the Covenant. Each item put there as a reminder of something. The jar of Manna was there to remember God’s willingness to provide for His people. The stone tablets, a reminder of God’s covenant with His people and Aaron’s staff “to be kept as a sign to the rebellious. This will put an end to their grumbling against me, so that they will not die.” Only three things were placed in the Ark. All VERY important, enough so that God wanted them preserved and handed down for generations. They are still in the Ark! This tells me how important it is that we honor and respect those that God has placed over us as our “Mother’s and Father’s in the Lord.” We don’t judge them as more than human, expect them to be perfect and without flaw! We honor the call, the anointing, the Gift! When we grumble and complain about them, God gets mad! He wanted to destroy everyone, not just the men who rose up against Moses and Aaron! Don’t allow yourself to think that someone else could do a better job, or God forbid that YOU could do a better job! God chooses who He wills! If someone else wants you to jump on their wagon of “discontent” refuse. Don’t even give place to the devil. Yes, he is the one, who sets our flesh on edge against our leaders. Tell him to shut-up, and crucify your flesh. Ask God where you are called to, who you are called under, and stay, support and respect His decision. Period! I have been thinking a lot about forgiveness lately. I never really had too much of a problem in that area, except with a few specific people who had inflicted a load of hurt in my life. But I learned the hard way that un-forgiveness is like a cancer it spreads, or like a poison, affecting the other “good” relationships in my life. My problem was that I didn’t fully understand forgiveness. I, like most people, thought of it as an emotion or a feeling. I had the idea that someone had to say they were sorry and repent for their actions before I could ever forgive. I thought if I forgave the behavior before they apologized, it would give them permission to continue, or validate their behavior. Thank God, I did learn, mostly through His word and good Christian counsel, that forgiveness is a CHOICE. Basically, I had been REFUSING to forgive! Satan uses this to give us a “victim mentality” once we have that, we start keeping track of every wrong, perceived or real. We start rehearsing every incident mentally and verbally. Soon all we can do is spout that poison out to anyone who will listen, and it works it’s destruction. Looking at God and His forgiveness of me helped me to forgive. I had been forgiven much. Then thinking of Jesus on the cross saying, “Father, forgive them, for they do not know what they are doing,” if Jesus could say of the men who purposely hammered those nails, or the Sanhedrin who purposely condemned him to death, or of me, who willfully sinned, sending him to the cross, BEFORE any of us had repented, then I couldn’t justify my withholding my forgiveness. My un-forgiveness turned also into bitterness, and that resulted in mental and physical problems. God can and did heal me, but what he healed was only symptoms, the real problem was my heart. When I asked God to help me get rid of the root, it was un-forgiveness, and self-pity, two equally destructive things. I got some repentance, and other’s have never admitted wronging me. 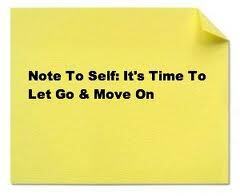 I was able to CHOOSE to forgive all, and the amazing thing is after a while, my emotions caught up with that choice! Now I hardly ever think about it and I can even be around those people with no ill will. My other relationships improved, and I was able to open my heart up bigger to God and those around me. How can we give God our whole heart if it is full of cancer! He gave me the strength to do it! Un-forgiveness is an ugly thing. It will destroy your marriage, your family, your church and even your health, if you let it. Choose to forgive today!